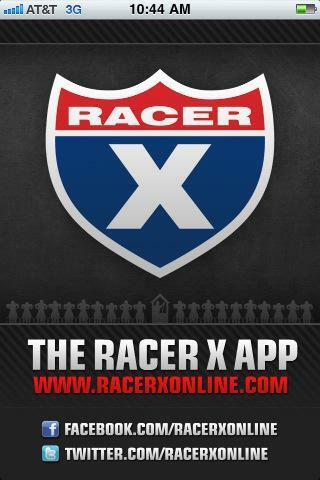 The Racer X App - Version 2.0! Now plays ALL video from Racer X Online! Now plays ALL podcasts from Racer X Online! Check it out in the Apple App Store right HERE. Breaking news, weekly features, rider columns, and more load quickly and are easy to read. All of our Racer X Films are delivered right to your device. The sports most active Twitter feed keeps you up to date, especially on race day. Listen to all Racer X and Pulp MX Podcasts on your device. Exclusive photo galleries after every major professional race.